Mayfield Sports Marketing is a leading celebrity speakers bureau and football speaker agency securing current and former Packers greats for speaking engagements and appearances. We have worked with many of the popular Packers players including but not limited to Jerry Kramer, Gilbert Brown, Leroy Butler, Antonio Freeman for speaking engagements, Mike Daniels, Ha Ha Clinton-Dix for personal appearances, and Davante Adams, Ahman Green, Boyd Dowler, Kevin King, Josh Jones, Jaire Alexander, Josh Jackson, Kenny Clark, Ty Montgomery for autograph signings. Please feel free to view these bookings and other sports celebrity bookings on our Meet our Players Page. 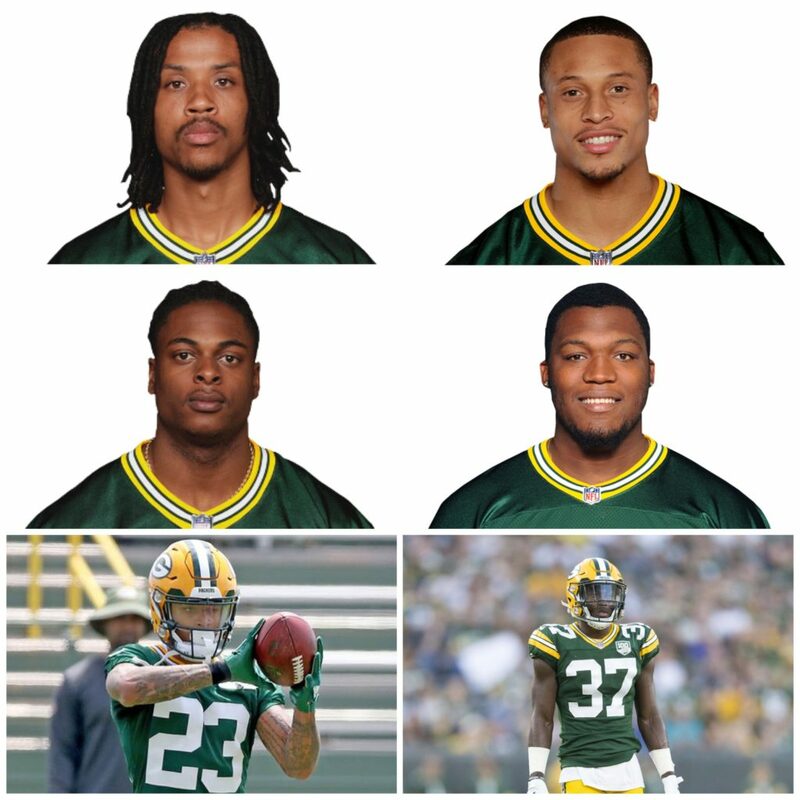 Additionally, if you are searching for popular former Green Bay Packers players such as Brett Favre, Dorsey Levens, William Henderson, Donny Anderson, Chuck Mercein and more, we can assist you. You can find booking agent information and speaker appearance fee information for players by visiting our Quick Quote Page or calling us at 262.66.8188 today. Mayfield Sports Marketing is your source for Green Bay Packers appearance fee and availability information. The Green Bay Packers are a NFL team based in Green Bay, Wisconsin. The Green Bay Packers have won multiple Super Bowl victories—in 1967 (Super Bowl I), 1968 (Super Bowl II), 1997 (Super Bowl XXXI) and 2011 (Super Bowl XLV). The Packers have long-standing, bitter rivalries with their NFC North (formerly the NFC Central) opponents, the Chicago Bears, Minnesota Vikings and the Detroit Lions. © 2019 Mayfield Sports Marketing. All rights reserved.